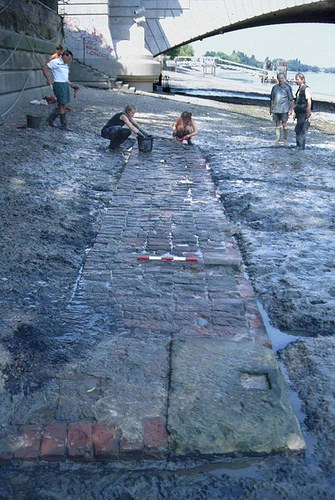 The Thames Archaeological Survey recorded part of the surviving remains of the 1729 bridge footings, and the TDP / FROG completed a detailed survey of the same feature. 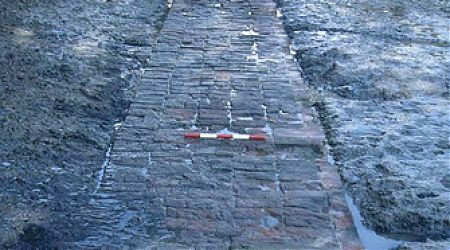 Also recorded at this site were a wooden drain and a causeway (probably both of Victorian date) and parts of a very large hard, which includes a possible crane base, located near Putney Railway Bridge. Other features of interest on the site include drainage outfalls, and the remains of an aqueduct beneath Putney Bridge, Victorian brick built riverside walls, and numerous finds of Hindu artefacts. Check out the articles below to learn more about Putney.